Friends often ask me: what should one see when buying a diver’s watch. There are dozens of men’s diving watches on the market and it’s not easy knowing which one should go for. Before I go for the specifics let me explain what precisely a diver’s watch is. It’s a sports watch produced for under sea diving. Its essential purposes are to log your time below the water and to assist you in a safe return to sea level with the help of decompression tables (if an analog watch). A watch built for diving must be capable of withstanding water pressure equivalent to at least 100 meters deep, be rugged enough to withstand the corrosive sea water and shrug off an accidental blow or two. 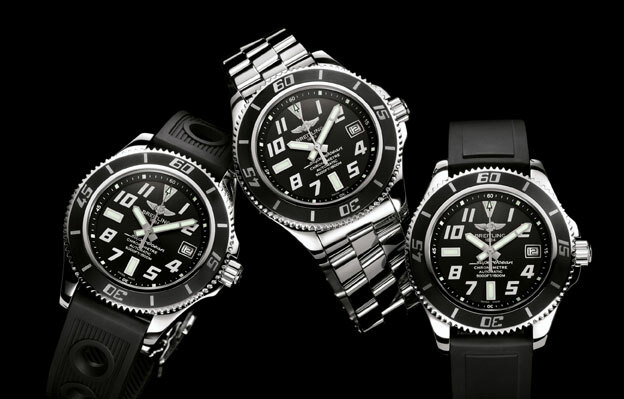 An authentic diver’s watch must meet a series of standards defined in ISO 6425, a world-wide standard that grants conforming watch manufacturers permission to imprint the words DIVER’S on the watch. While a good diver’s watch may appear expensive but you need to know that it is an ultra-durable timepiece that has been put through a set of much more arduous tests than a standard sports watch. As they simply look terrific a diver’s watch can easily be worn as a fashion accessory when not used as an essential diving instrument. Crystal Case: Due to the elevated force incurred underwater, diver’s watches tend to sport an ultra-thick crystal dial window made of materials like synthetic sapphire, acrylic glass and hardened glass, each with their own set of advantages and disadvantages. Crown: The crown must be unscrewed in order to correct or reset the date or time and screwed back into the water resistance. Helium Release Valve: Diving below 1000 meters is known as “saturation diving” or “technical diving” which are done in chamber with helium rich environment. A problem encountered in ultra-deep saturation dives is pressure build-up caused by helium getting into the watch. Without a proper venting mechanism, the crystal dial cases would often shoot off due to the pressure buildup of helium within the interior. Manufacturers of saturation dive watches compensated for this by installing release valves to expel the excess internal gas. Bracelet: Most diving watches have rubber, silicone or polyurethane strap or a metal watch bracelet with excess length to permit wearing the watch over the sleeve of a diving suit. Readability: Dive watches must be legible in the low light environment experienced deep below the sea surface. Power Reserve Indicator: If a dive watch is powered by a battery, ISO 6425 requires that it exhibit an End of Life (EOL) indicator to warn of low energy reserve. This is usually handled with a two or four second skipping of the second hand or a cautionary message on a digital watch. Superocean! That’s name of Breitling’s latest maritime watch with rubber moulded bezel enlivened by sloping numerals and a fluted pattern, the strikingly distinctive dial echoing the vigorous geometrical motifs with applied hour-markers and numerals standing out clearly against a matt black base and a self-winding chronometer-certified movement. 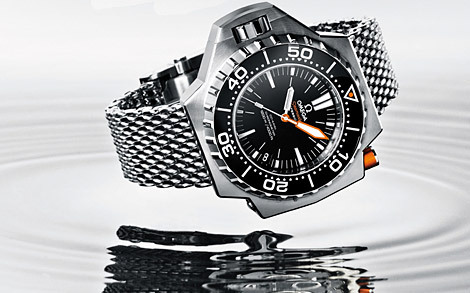 Initially born in 1957, Superocean’s latest avatar is more youthful, dynamic and modern. It is water resistant to 1,500 meters (5,000 ft) thanks to the ultra sturdy construction of its case, a screw-locked crown and an extremely sophisticated gasket system. Available in blue, yellow, red, silver and black — to adorn the beveled inner bezel ring surrounding the Abyss black dial the case is fitted with lateral reinforcements to protect the crown from the hazards involved in underwater adventures. 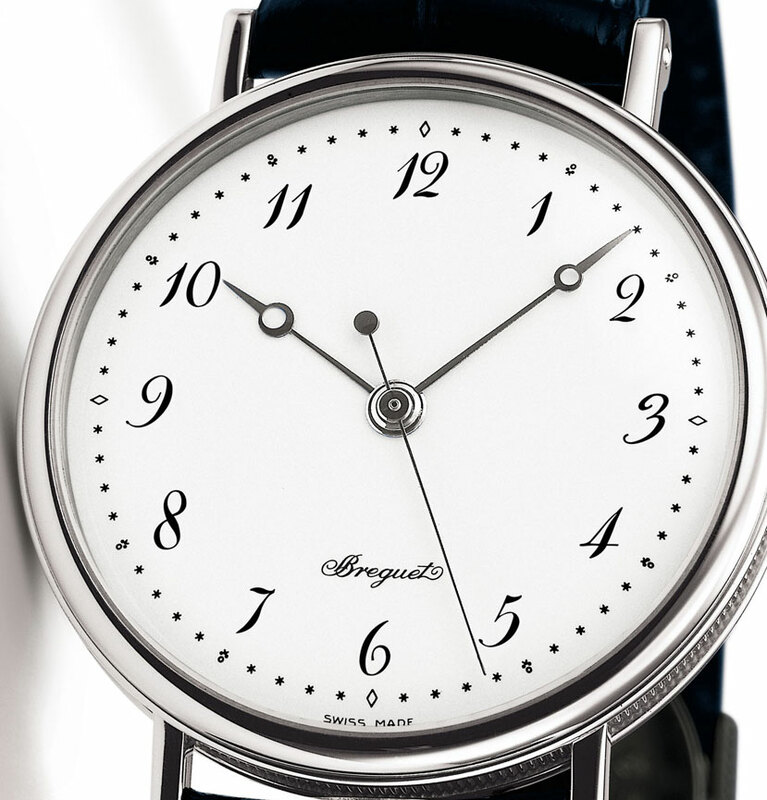 It is also equipped with a safety valve at 10 o‘clock, which serves to balance out the differences in the internal and external pressure of the watch. As soon as internal overpressure reaches about 3 bars, this valve automatically releases the helium stored up after time spent at great depths, thus preventing the case from exploding. Thanks to luminescent Super-luminova coating the readability of the watch is accentuated making it all visible even in ocean darkness. Security is provided by a thick sapphire crystal glare-proofed on both sides to avoid any glinting that might reduce readability in dim light. 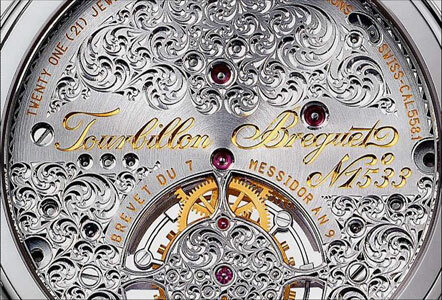 Finally, the knurled relief of the bezel facilitates handling even with gloves — much like the large fluted crown. Price: Rs 140,924 to Rs 161,559. Available at Ethos Summit stores across India. Officine Panerai has launched the Radiomir Regatta 1/8th Second Titanio – 47 mm for the Panerai Classic Yachts Challenge 2010. 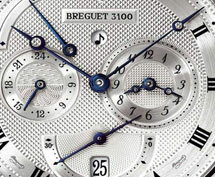 The watch is a split-second foudroyante chronograph, which also features a scale for calculating boat speed in knots. The split-second function allows two simultaneous events to be clocked. Whereas the foudroyante function activates a small hand that rotates in the dial at nine o’clock, making one rotation every second: when the chronograph stops, the hand comes to a halt on the relative fraction of a second. The watch has an automatic OP XXI calibre, with a diameter of 13 ¼ lignes and 40 jewels, double column wheel, anti-shock device and finely decorated bridges. The balance ticks 28,800 times an hour permitting one eighth of a second precision and the watch has a power reserve of 42 hours. 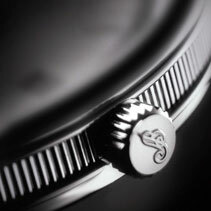 In brushed titanium with a fine polished bezel, the 47 mm case is watertight to approximately 100 metres. The back plate has a large sapphire crystal window showing the complex movement, while the cut-off cone-shaped winding crown houses the control button for the split-second chronograph hand. A 1.9 mm thick anti-reflective sapphire crystal protects the Panerai dial, with two large luminescent Arabic numerals and hour markers. On the left is the small dial indicating fractions of seconds and on the right there is the minute counter with the scale in knots, in other words nautical miles (1,852 metres) per hour. 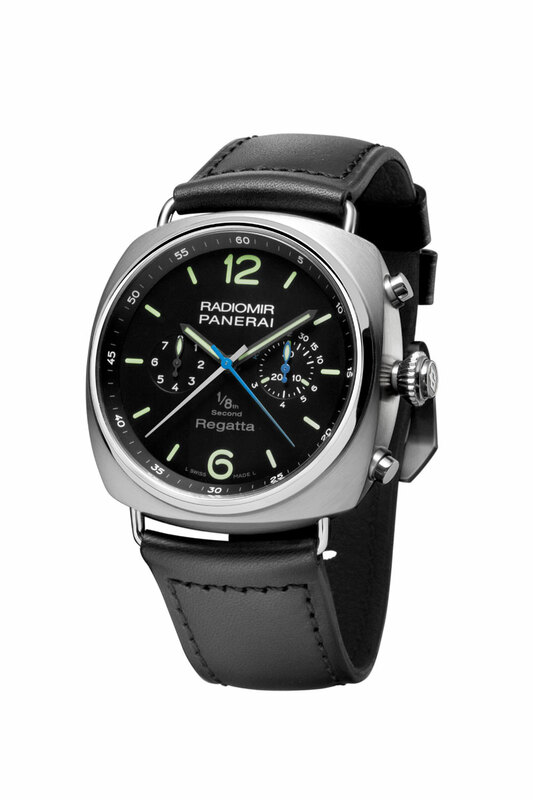 Available in a single edition of 500 units, the watch comes with leather strap fastened by a brushed titanium buckle. 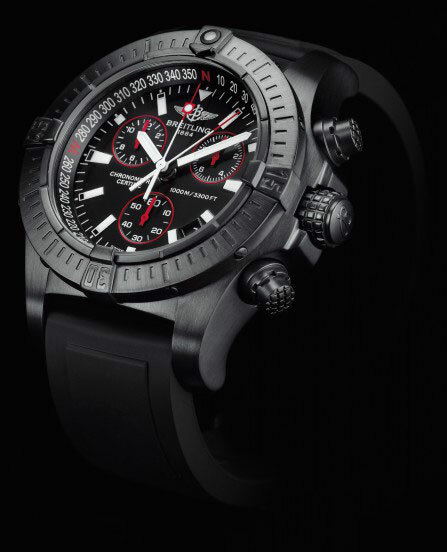 A special version of the Breitling’s Avenger Seawolf Chrono – the only chronograph that is watertight and fully operational at a depth of 3,300 ft – the new Blacksteel limited edition was unveiled recently. Black is the keynote here, variously interpreted in the steel case subjected to an ultra-resistant carbon-based treatment; the unidirectional rotating bezel; the large screw-locked crown and non-slip pushpieces; and on the dial base creating a striking backdrop for the white luminescent hands, hour markers and red-rimmed counters. Avenger Seawolf Chrono’s limited edition greatest feat is hidden inside its case, thanks to its magnetic pushpiece system. This exclusive Breitling patented device serves to activate the controls through the metal of the case, without any direct mechanical contact. Most chronographs cannot be used when diving, however Avenger Seawolf is watertight and fully operational at a record depth of 3,300 ft. 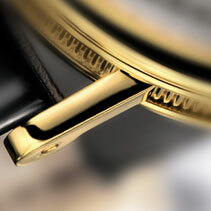 Equipped with a decompression valve and a glare-proofed sapphire crystal guaranteeing optimal readability in all circumstances, its SuperQuartz™ calibre ensures a level of accuracy 10 times superior to that of standard quartz movements, enabling it to measure times to within 1/10th of a second complete with split-time indications. Issued in a 2000-piece worldwide limited edition, Avenger Seawolf’’s inner bezel ring is adorned with a windrose serving to memorise a course – either underwater or in the air.